Première of Arriaca's cans at the Barcelona Beer Festival 2016. 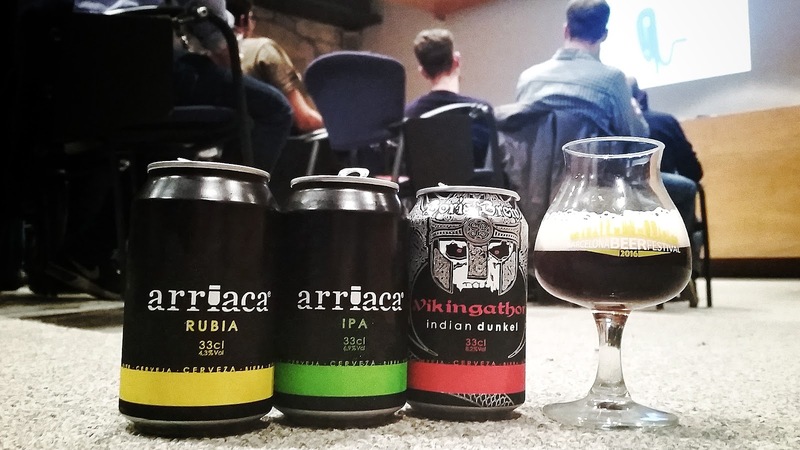 A year ago, Arriaca surprised us all with the launch of their beer in cans. Rubia, IPA and Vikingathor -a Boris Brew beer now made by San Frutos- were presented as the first canned Spanish craft beers, and gained much attention and praise: for the format, of course, but also for its quality. Nevertheless, I am bewildered to observe that the thing that seemed to me most revolutionary about it has been overlooked by most comments even one year later. "The price of our beer is increasingly lower, even when it gives more likes and visits to say the opposite"
I gather that it is even smaller today in some big supermarkets today, but I was pleasantly surprised to be able to buy the above-mentioned cans in BeerStore Barcelona in 2016 for a price of € 1.70, € 1.90 and € 2.10, respectively. I repeat: beer from a microbrewery in Guadalajara below € 2. I also have a look at the bill for my last beer purchase, and I see that none of the beers from the good selection local stuff I bought exceed € 3. Some of them are even below € 2.5 *. Sometimes I have the feeling that we are still stuck to the speech that locally-produced beer is expensive, and that its quality is substandard if we compare it to foreign brews. I have previously taken up a stance, in a variety of occasions, on the fact that the quality of our beers keeps growing every time, and that we have a select group of brewers that can proudly compare themselves to many great European brewers. And what about the price? Even when everyone seems to enjoy complaining rather than praising, and although it draws far more attention to say the opposite, the truth is that the price is getting smaller. That's thanks to the progressive professionalisation of companies, as well as the great investments that many of those have been dedicating to improve, among many other things, their processes. Worth every euro cent I payed for it. In any case, price is something highly subjective, which totally depends on the satisfaction that a disbursement delivers. 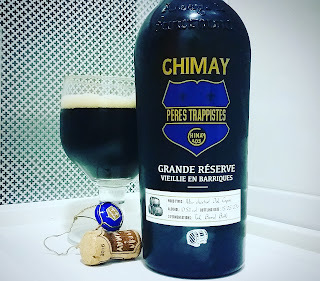 The other day I drank a 75cl bottle of Barrel Aged Chimay Grande Reserve: 25€ which, although being a high price, I considered a good investment for the level of sensations and enjoyment it brought me. I can also imagine paying three or four euros without hesitation for a can of any IPA of those that abound the shelves of beer stores, in case I found myself without beer in the middle of the Carnival street parade in six days from now. Opportunity costs also count. But to me it especially matters knowing who makes the beer and the way he brews it. The contribution to local development and to the companies that give us joy by buying their products. Maybe some beers were a little expensive five years ago, both for their quality and price: but if we look around and see where we are now, it seems like a good investment. The evolution and growth of our breweries brings more bars and places to enjoy these and many other beers; it helps growing the culture and appreciation of beer, and makes it easier to find it in plain average bars or even haute cuisine restaurants, among other advantages. So, is our beer expensive? No, I'm sure it is not. * All right, the prices commented discussed are those one find in Barcelona, ​​where the degree of development and competition facilitates such circumstance, but the direction seems clear.